I received a large number of responses to the last newsletter’s Publishers Message, which dealt with Barnes & Noble opening a superstore with a restaurant (and cutting the number of books the store would be selling). I found all interesting and one especially enlightening. The suggestion was made that B&N allow its individual stores to cater to the tastes of a particular community. Yes, it makes sense (each B&N would be, in part, its own independent store), but sadly this will never occur. Several years ago I went on a book tour to promote my YA Shamra Chronicles trilogy. I was booked at a number of B&N stores. However, the stores couldn’t order the books from corporate without a lot of red tape, starting with corporate having to give approval of the book. Corporate seems to make ALL calls for its B&N stores and isn’t willing to give up control or even show flexibility. It’s why another person who emailed me felt that the chain was doomed to fail and go the way of Borders and other chains. Amazon.com isn’t to blame for B&N’s failures. Their structure makes it impossible for stores to best serve the community. As long as everything flows from the top at B&N its demise is all but a forgone conclusion, whether it be in 2-3 years or 5-10 years. Thanks again to all who responded to my last message. Numbered and slipcased copies of The Stars in My Eyes have shipped. We are still waiting for traycases for the lettered edition. We have a limited number of copies still available. The hold-up now (besides the traycases) is we have received the introduction from Doug Winter, which will appear ONLY in the lettered edition. We’re working in conjunction with Borderlands to get the introduction as quickly as possible. We have shipped all numbered copies of David Morrell’s Rambo III and await slipcases and traycases. 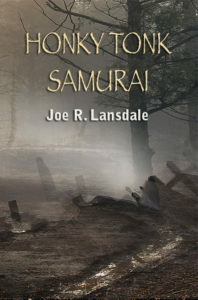 We are working on layout Joe Lansdale’s HONKY TONK SAMURAI. We will keep you updated as to the progress of the book. We will only be printing enough copies to satisfy orders (plus another dozen or so for late-comers) so if you’ve been putting off ordering this Hap and Leonard title you might want to order now. 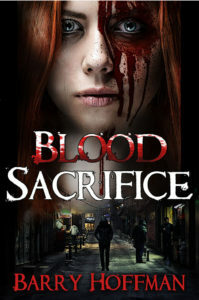 My latest novel BLOOD SACRIFICE has just been released as a trade paperback. This title is not part of my Shara Farris/Renee LeShay series. It is a stand-alone novel, with sequel to come. For a limited time you can order a signed copy of the tradepaperback at the Gauntlet website for a special price and with a special offer. When ordering in the Comment’s section mention the tradepaperback you desire. We will also be offering a signed lettered hardcover with a slipcase for $100. We will only be printing as many copies as we get orders in the next two weeks. Once we have orders we will have the limited editions made for late-summer/early-fall delivery. You can also find the paperback edition of BLOOD SACRIFICE on Amazon.com. 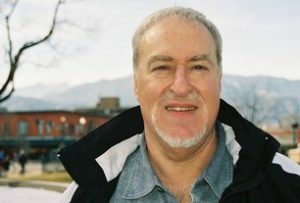 Lastly, I have a new website I hope you will visit which lists all of my published novels, has blog postings, and a section for comments. Clive Barker’s THE GREAT AND SECRET SHOW has arrived. All copies have shipped. We expect slipcases for those who ordered only the slipcase shortly. 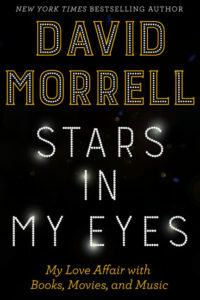 STARS IN MY EYES by David Morrell has shipped (numbered and slipcased copies). We are awaiting traycases as well as the introduction for the book. 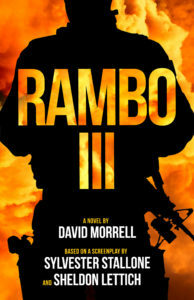 Numbered copies of Rambo III by David Morrell have shipped. Honky Tonk Samurai is now being laid out.